1984 XJ750R (0U28) - Communication Plaza | Yamaha Motor Co., Ltd. 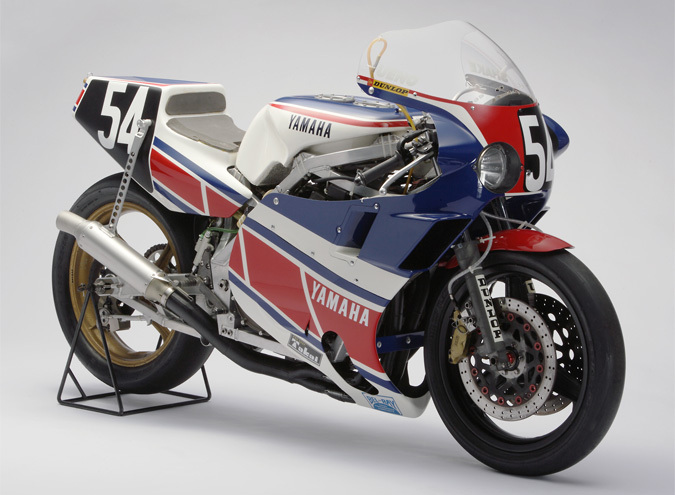 This was an endurance race spec TT-F1 factory machine based on the XJ750E production sports model. The drive was changed from shaft to chain drive, and a DOHC 2-valve, in-line 4-cylinder engine was mounted in a specially designed aluminum square pipe frame. In the 1984 Suzuka 8 hours, the Shinichi Ueno / Hiroyuki Kawasaki pair finished in 5th place on an XJ750R.